Chester Field is a Vic Tokai game that came out in 1987. It’s a 2D side scrolling game with a fairly early feel to the game. The translation is by Aeon Genesis. 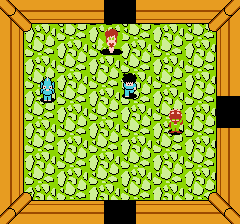 Press up in front of the damaged area on the ship, and you can enter the first labyrinth. This will kill you at the start of the game. 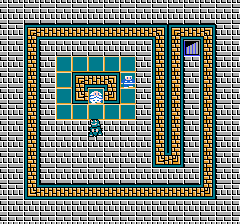 Tao is an infamous game in Japan, and came out in 1989. While I can’t read the commentary about it that well, many people say it’s attempting to force a political view on the player (which seems to fit the ending,) and that it’s a kusoge. The developer was Pax Softnica who worked on a wide range of stuff including Mother, Wrecking Crew, and Ice Hockey. The publisher was VAP (NTV). VAP, thanks to ties with Nihon Television, did a lot of anime tie in games, and from what I can tell, didn’t seem to publish great games. The hero, in red in the upper left, finds a church in Crosston. The grinning blue Godzilla is the hero. Outlanders is a manga / anime tie in game. It’s from 1987, and was developed by Micronics. The publisher was Victor Musical Industries. The author of Outlanders is Johji Manabe. It’s basically a space opera with a fair amount of humor as best I can tell. 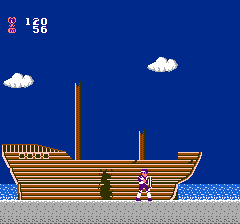 The original run of the manga was 1985 – 1987, so this game came out near the end of the run of the manga. 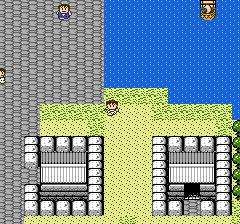 The hero finds an underground area with what I assume is a city. Shinsenden was published by Irem, and developed by Tamtex in 1989. Considering the era, it’s ambitious. However, the difficulty level is pretty high and the game shows that it’s very early. 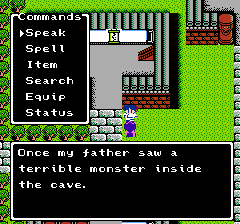 Like many early RPGs, you need to use "speak" from the menu to talk. The hero is the man in white with blue hair. aishsha came out with a translation for Minelvaton Saga. 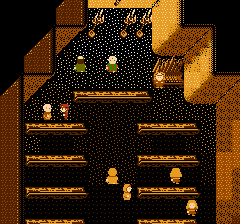 It’s got a few missing lines of text right now, but a new version will be coming out soon. So, how’s the game if you can actually read what’s going on? 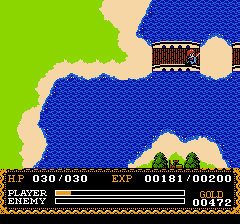 Chaos World is a 1991 NES game that was published by Natsume. It’s a very ambitious game, but for my taste, it falls flat. I think the main problem with the game is that it’s attempting a number of ambitious features, but they’re implemented in a way that is awkward. 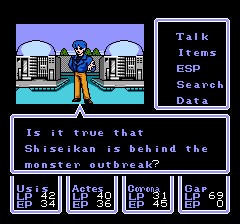 One thing I find amusing is that it has features that were commonly cited as a good thing in NES / SNES era RPGs. However, due to how they’re done, they’re really not that interesting. 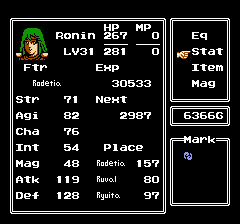 Ronin, my female fighter, is shown here. You can pick any class and gender you'd like for the main character.